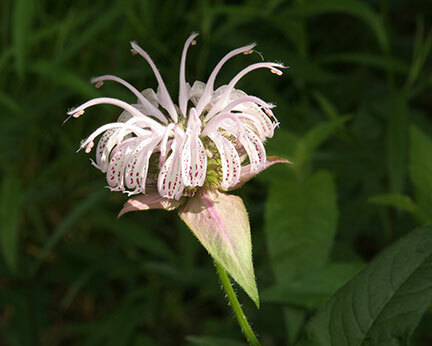 Also known as Horsemint, this is a non-invasive mint that excels in open woodlands. 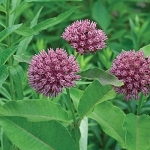 The plant will have a compact, rounded shape and long-lasting flowers. The aromatic leaves can be used in teas. 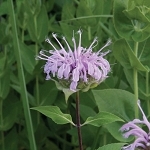 Hummingbirds, along with many bees and butterflies, visit Bee Balm. 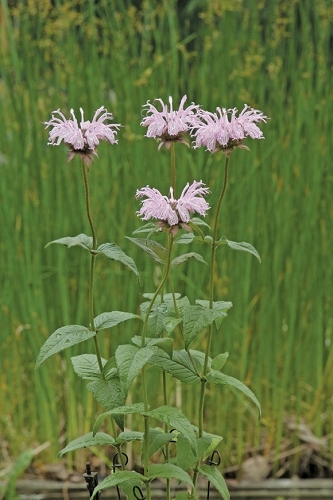 Monarda species are host plants for several moths. Deer and rabbits usually avoid this plant. 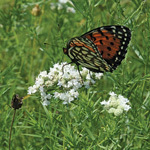 Seed is usually ready to harvest in late June. 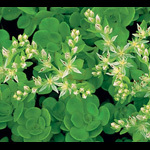 Dried seed is often ready to germinate, but a couple of weeks of cold, moist stratification could increase germination. Planted small pots and seed throughout my property. 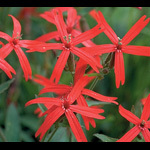 Plants mature quickly, spread modestly, maintain nice structure throughout the year, and attract droves of hummingbirds and butterflies. And the deer / rabbits haven't touched it.